ENTER TO WIN! The Great Pantry Giveaway! EXCITED TO ANNOUNCE OUR WINNER! To help celebrate the launch of my new book, The Fresh 20 Cookbook, I’m going to stock the pantries of some lucky home cooks. This is the most fun I’ve ever had in stocking OPPs (Other People’s Pantries)! I’ll show you my pantry, if you show me yours! If you win our sweepstakes, I’m going to make sure you have all the pantry essentials for The Fresh 20. And I’m going to stir in some really cool tools to help you get started. To make it unbelievably easy to enter, I have 6 ways for you to get in on the fun. And don’t worry, we’re tracking all the activity so you can enter all six ways for more chances to win!! 2. Facebook – Leave a comment with “#thefresh20cookbook” on our Facebook page under the “We want to stock YOUR pantry!” status. Tell us your go-to pantry item or brand that always delivers. 3. Pinterest – Find us on Pinterest and repin one of the photos for The Great Pantry Giveaway. I promised it would be easy. 4. Instagram – I’ll show you my pantry, if you show me yours! Leave a picture of your pantry on Instagram with the hashtag #thefresh20cookbook. 5. Blog – Leave a comment below and let me know your go to pantry item. How easy is that? 6. 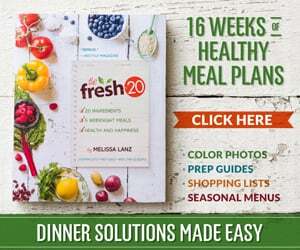 Buy The Fresh 20 Cookbook – It’s loaded with 125 fantastic recipes for delicious fresh, unprocessed dinners that you can cook in 30 minutes or less, plus a whole lot more! Buy it and send a receipt for the purchase to cookbook@thefresh20.com. You will be entered 5 times to win! That 5 chances to stock up and join thousands of other health conscious, budget conscious folks who are changing themselves and their families and friends for the better with The Fresh 20! Want to know what the Grand Prize is in The Great Pantry Giveaway? I’m so excited about The Great Pantry Giveaway! Thanks for visiting. 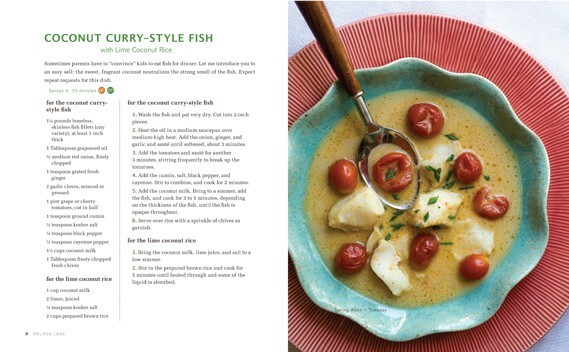 SAMPLE RECIPE: CHECK OUT OUR COOKBOOK PAGE FOR MORE INFO!